Rated 3 out of 5 stars by 5 PRO members. This is an FSX/ Acceleration update of the Former payware, now freeware, Alphasim Lockheed C-141 Starlifter including five liveries. The package is a combination both the C-141A and C-141B. It features an enhanced VC, VC- and landing lights, extra VC and internal views as well as smoke effect. The runway is now visible in cockpit view at night. Thanks to Alphasim for their great model and to Erwin Welker for the extra camera views. Enhanced VC, landing- and VC light configuration as well as a smoke effect by Michael Pook. Copy and paste the Lockheed C-141 folder into your main aircraft directory, the effects in the effects into your main effects directory and the gauges into your main gauges directory (no need to overwrite in the case you already have all the effects). the radar in the VC is activated by clicking the bottom part of the grey rectangle in the bottom left section of the VC. Unfortunately, the ramp door doesn't open in FSX. 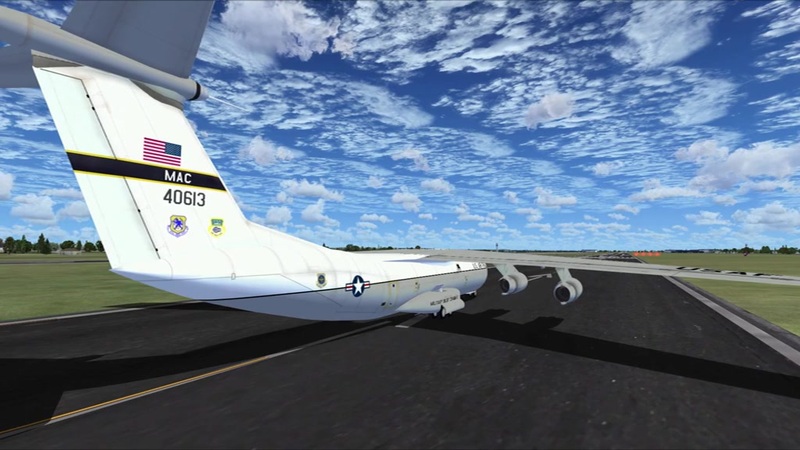 The archive fsx_lockheed_c141_starlifter_updated.zip has 178 files and directories contained within it.